GLOBE was formed in 1995 by music producer giant, Komuro Tetsuya. Komuro discovered Yamada Keiko in a singing contests while Marc Panther was a MTV Japan VJ at that time. They released their first single later that year, entitled “Feel like dance”. But it wasn’t til their fourth single, “DEPARTURES”, where the group experienced a major spike in popularity when “DEPARTURES” sold over two million copies and helped launched the group into stardom. In 1998, to help boost up their fan support, globe released four different singles project, entitled “BRAND NEW globe 4 SINGLES”. If a fan bought “wanna BE A Dreammaker”, “Sa Yo Na Ra”, “sweet heart”, “Perfume of love”, they would mail in the UPC codes of the singles and got the promo single “winter comes around again”, which appears on their fourth album Relation. During this time, they also released their first remix album, FIRST REPRODUCTS, and their first best hits album, CRUISE RECORD 1995-2000. In 2000, the group released three solo singles, one for each member of the group. Vocalist KEIKO would also embark her first concert tour around Japan. The group also changed sounds from pop to more of a trance sound. 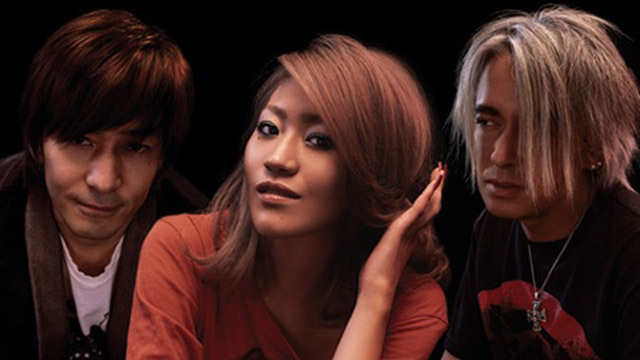 After the release their eighth original album, LEVEL 4, the group took a small hiatus due to the marriage of Tetsuya Komuro and KEIKO. But, the hiatus was only two years and the group got back together in 2005 to celebrate their ten year anniversary. For this, they released a new best hits album, new singles, and a new album globe2 Pop/Rock. They also kicked off their anniversary tour, globe decade tour, and appeared at a-nation during that year. The group was supposed to release a new single at the end of 2008 that was a cover of a TM NETWORK song. But, due to Tetsuya Komuro being arrested for fraud, avex canceled the single and pull the group’s CD collection off the production shelves for a short while. The group is under another hiatus as of May 2009 due to Komuro serving time for his guilty plee of fraud. Komuro got the idea for their kind of music from what he have learned in his vacation in Europe prior to the group’s formation. He applied the concept of music he learned through various artist he produced and to his own group unit itself. At one time, YOSHIKI, Komuro’s good friend, was part of the group for a while, renaming the group “globe extreme”, until he himself quit.